June 22, 1969: The June 22, 1969 fire on the Cuyahogais the “seminal” event in the history of water pollution control in America, helping to spur the growth of the environmental movement and the passage of national environmental legislation. “Never before had an image so thoroughly driven home the deteriorating plight of our nation’s waterways,” one environmental group explained on the fire’s thirtieth anniversary. “The burning river mobilized the nation and became a rallying point for passage of the Clean Water Act.”17 Despite its national importance as a symbol of environmental decline, the 1969 fire on the Cuyahoga was a relatively minor story in Cleveland at the time.18 For northeast Ohio, and indeed for many industrialized areas, burning rivers were nothing new, and the 1969 fire was less severe than prior Cuyahoga conflagrations. It was a little fire on a long-polluted river already embarked on the road to recovery. Reference: Adler, Jonathan H. “Fables of the Cuyahoga: Reconstructing a History of Environmental Protection.” Fordham Environmental Law Journal. 14 (2003): 89-146. Commentary: There was a long history of fires on the Cuyahoga—by one count a total of 13 with the first occurring in 1868. Other fires of note occurred in 1868, 1883, 1887, 1912, 1922, 1936, 1941, 1948, and in 1952. This entry was posted in Year 6 TDIWH and tagged Clean Water Act, Cuyahoga River, fire, water, water pollution on June 22, 2018 by safedrinkingwaterdotcom. 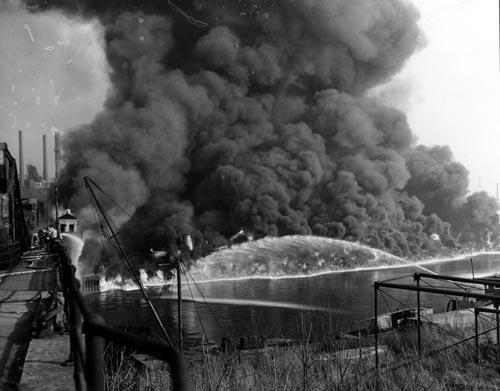 June 22, 1969: The June 22, 1969 fire on the Cuyahoga is the “seminal” event in the history of water pollution control in America, helping to spur the growth of the environmental movement and the passage of national environmental legislation. “Never before had an image so thoroughly driven home the deteriorating plight of our nation’s waterways,” one environmental group explained on the fire’s thirtieth anniversary. 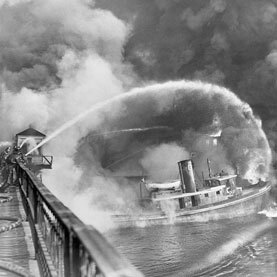 “The burning river mobilized the nation and became a rallying point for passage of the Clean Water Act.”17 Despite its national importance as a symbol of environmental decline, the 1969 fire on the Cuyahoga was a relatively minor story in Cleveland at the time.18 For northeast Ohio, and indeed for many industrialized areas, burning rivers were nothing new, and the 1969 fire was less severe than prior Cuyahoga conflagrations. It was a little fire on a long-polluted river already embarked on the road to recovery. This entry was posted in Year 5 TDIWH and tagged Clean Water Act, Cuyahoga River, fire, water, water pollution on June 22, 2017 by safedrinkingwaterdotcom. This entry was posted in Year 4 TDIWH and tagged Clean Water Act, Cuyahoga River, fire, water, water pollution on June 22, 2016 by safedrinkingwaterdotcom. This entry was posted in Year 3 TDIWH and tagged Clean Water Act, Cuyahoga River, fire, water, water pollution on June 22, 2015 by safedrinkingwaterdotcom. This entry was posted in Year 2 This Day in Water History and tagged Clean Water Act, Cuyahoga River, fire, water, water pollution on June 22, 2014 by safedrinkingwaterdotcom. 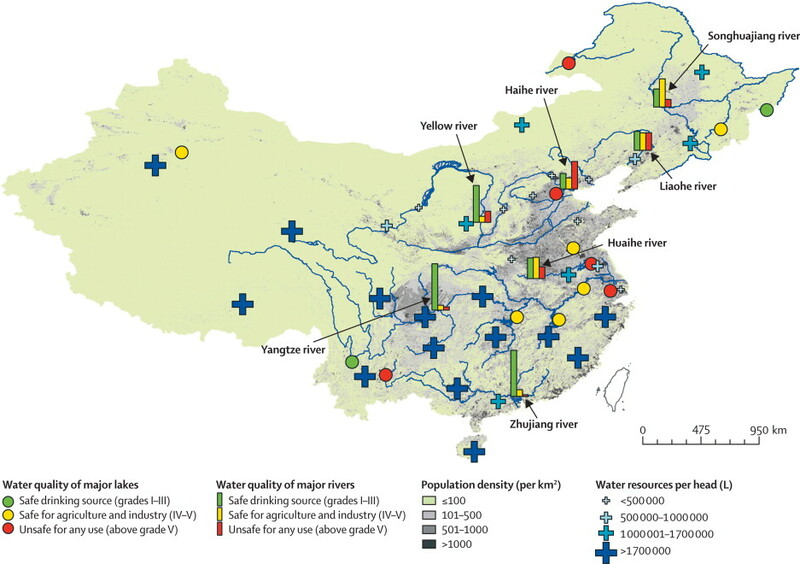 This entry was posted in Year 2 This Day in Water History and tagged benzene, China, drinking water, toxic slick, water, water pollution on November 29, 2013 by safedrinkingwaterdotcom.